Must see this home in the beautiful Little Creek Valley. Manufatured home on permanent foundation is in excellent like new condition. If you are looking for a country home with beautiful views and wildlife, very well kept flat yard for gardening or playing with the kids all very reasonably priced then this is the place for you. 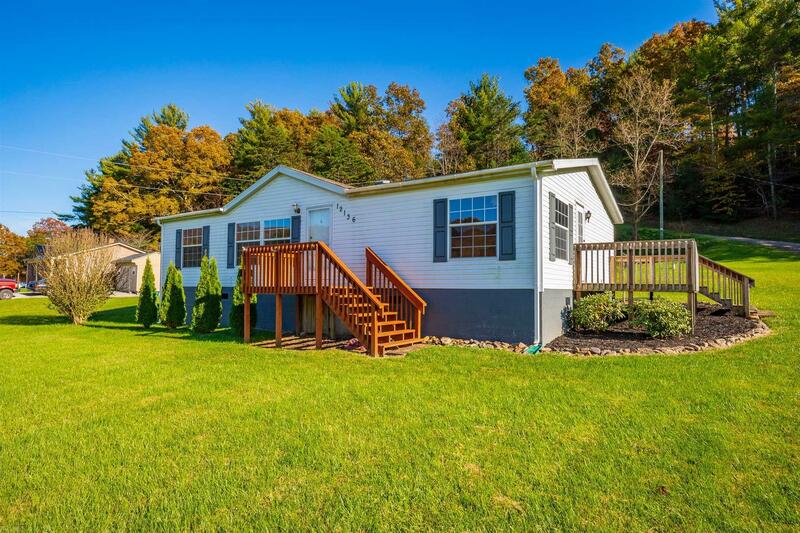 Located near National Forest land this home has it all private well and septic, new plumbing under the home, two decks, ceiling fans, insulated windows and doors, and heat pump. Don&apos;t miss out on this deal won&apos;t last long. Directions: From I-77, Take Little Creek Highway East For 12 Miles To Home On Right.from Town Of Pulaski, Take Robinson Track Road; Right On Little Creek Highway. Home On Left.